Hello everyone! My name is EZ Bake Loven and I have been an avid DotA, HoN, LoL, and now Smite player since I can remember. I recently hit level 21 and decided to go and make this guide. Based off of my mechanical knowledge of the game and the genre in general, I obtained a ranked elo of 3080. I haven't played a single ranked game yet and realize that the system is broken. As you can see, I haven't played many games and I'm still very NOOB at this game. I however feel like I have a good grasp of what I'm doing mechanically, so I decided to go ahead and make this guide. There might be some wrong information as I am still new and learning the game, as a lot of players in closed beta are. My Ao isn't the best out there, and a lot of people are better than me. This guide is for newer players or ones that are looking to check him out. That being said, I am constantly improving on Ao each time I play him. If you see something that you don't think is correct, or have a suggestion, I will gladly try and listen and maybe even incorporate it in my guide! This chapter will be saved for future revisions. I plan to keep this guide up to date and accurate and informative! Pretty good passive. Allows him to gain extra magical power from items that give mana and since he needs it anyways, this is powerful. Your second kiting tool that is more powerful around more players. Use this to catch people, escape, or kite. It is on a long cool down and you need to choose when to use this when engaging a possible long fight. Getting caught while this is down is almost always instant death if you're not insanely fed. One of the weakest escapes in the game, due to the fact that it doesn't last long and has a really long cool down. I take this second because most of the time, you won't be trying to kill anyone at 2. If you can, they're bad or you're in a side lane. Feel free to take squall second. I prefer this second due to junglers ganking, IF you're mid lane. Ao Kuang summons a tornado at his ground target location. A smaller tornado branches off onto any enemies that come within the radius, doing 10/20/30/40/50 (+15% of your magical power) magical damage every .5 s for 3 s (60/120/180/240/300 (+90% of your magical power) magical damage total) and is refreshed if enemies stay within the radius. Your main dps and pushing skill. This can push waves at lvl 3 easily if you lay it early as the enemy creeps are walking in. This skill is EXTREMELY make or break because it is normally your biggest source of dps as your Ultimate can whiff entirely or be juked. The same goes for this, but with smart positioning you can poke or dot people to death. You can use this to zone in lane. This skill is weak against healers and to some degree health pots, since it takes time to do its total dps. Lay it smart and try not to lead as most players will just not walk in it. This can hit creeps and players slightly outside of the circle. This ult hits like a truck and is of the hardest hitting in the game. The downside is the ability to completely juke it based off of a sound queue and the obvious icon above his head. This ult is really easy to juke and often will require a lot of prediction and assumption. This is much easier to hit in a jungle fight and can single-handedly win a team fight if placed well. This is also a decent peel as it tosses enemies aside, unable to move. This is probably the hardest part about playing Ao, but if you can master it, you can destroy. These are standard on most mages and give you extra mana to play off of your passive. Ao's best boot option most of the time. This item has become a staple and is really good on most mages, even after the price increase. It is of the better items that gives you everything a mage needs early, including health which is important. A lot of players like this item and it is really good for Ao if you keep the stacks up. The problem is dying on Ao, as his kit doesn't have many options for safety outside of pure positioning, Slither and Squall. Only get this item if you like the enemy team comp and are confident against the mid you'll be facing. Warlock's Sash I would consider this a pretty core item on Ao due to the fact that the stacks can't be lost and his passive loves that extra mana it gives. He also enjoys the health as most items you will build won't be giving you health. If you skip make sure you get this as you need a base health. The item when full maxed gives: +90 Magical Power, +460 Heath, +560 Mana max total. Pretty boss if you ask me. This item is ok on Ao but it also costs 2850 and your combo should be a 1,2,3 punch in an ideal fight. This item has its utility if there is a long drawn out fight, or you just need to escape someone chasing you. I prefer to position as well as I can and don't normally take Gem. I would if it weren't for how expensive it is. My suggestion is to buy it sometimes, not every game. A total new player trap. This item is awesome when you're first learning how to use Ao as it gives you faster spells and mana regen to spam and miss spells all day. But for 2770 gold, it only gives 50 magic power, 25mp5, and 20% CDR. These look good on paper as you want to have that CDR, but think about how much it costs and the mana regen. You shouldn't need that much regen middle as Ao. If you do, you're playing him wrong. 50 ap for 2770 gold? No thanks I'll pass. The only thing this gives is nice CDR which Ao does appreciate, though you're better spending your money somewhere else. Don't build this item as it falls off late game and Ao doesn't really use the magic lifesteal as he is a nuker will long cooldowns. The proc is nice early game as you get a free tornado, but Ao doesn't have mana problems mid game at all once you establish even level 3 boots. He can fully sustain without this and it is a good item, but not on Ao. At 1400 gold it is an option, but I think there are better out there. Awesome item for Ao since most teams will have 2 magical chars or more. 2280 gold isn't that bad for 60 magic power and 60 magic resist. The passive is good but as Ao, you generally aren't trying to stand next to someone. It is only good when you're caught or in a really close engagement in the jungle. An Ok option. If they have 3 magical chars, ALWAYS build this or another source of magic resist. I haven't played much with this item as most of the time, if you just build flat magic power, you can nuke people down with your basic combo. I'm curious to see how this item plays on Ao, but haven't personally tested it. I assume this would be better on other mages like agni or someone who isn't trying to always be away from the enemy like Ao is. Let me know! This item is surprisingly better on Ao than most mages in the game simply due to his passive. At 2650 gold, 70 magic power, 300 mana, 15% spell life steal, and that ridiculously good passive, I will always try to buy this as a 3rd item if there are 2 other magical chars on my team. The passive in a team fight makes this worth the gold. It also plays off your passive giving you 85 magic power right off the bat. This item is good, but not on Ao. It costs 2700, more than Pythagorem's Piece for a lot less. While giving 15 more magic power, it gives less mana, no life steal, no passive for team mates, and costs 50 more gold. Don't buy this ever. Standard 4th item. By that time, you should have pretty good magical power from your passive if you built for it. This will boost your magic power through the roof and is worth your time to always try and buy. No brainer is amazing end game. Winged Wand Haven't tried it yet. I don't see the need for the move speed on this item as Ao is all about positioning. Even if you do get caught, the passive is worthless because Ao dies really fast and you probably won't need to survive another slow. For 2150 gold, this the wand isn't worth the magic power and mana it gives in my opinion. If anyone says different with a logical reason, I'll consider it. The only reason to build this item is for the passive. A must buy if you ever fight a Guan Yu and a Hel. Other than that, let the melee bruisers or AD carry pick up healing reduction, you need to nuke! This is by far Ao's best physical defensive option. It gives everything he needs in one handy package. I will build this if there is a fed physical force on the enemy team. I sometimes even build this regardless if they have 3 physical on their team. You can't go wrong with this item, but if you build it too early, you will gimp your burst potential in exchange for survivability. This is a great item in a side lane and I have built it so many times. If you see an Odin, it might not be a bad idea to get this lol. Magi's Blessing Really good against a strong magical team. You get a little magic power from the passive, 50 resist, 350 health to help survive burst, and that great passive. A solid item against a balanced team if you choose to build it. I wish it was a little more cost effective at 2500 because chances are that only a physical carry or a magic one is fed and you will want to protect against one specifically, especially at lower level play when that annoying cupid is 11-2, fed out of his mind. Sprint I like Sprint a lot since Ao needs to be mobile almost every second you're playing him. A valid choice after a more defensive ability. This is a really underused ability at lower level play. I'm almost always the only one who buys it. 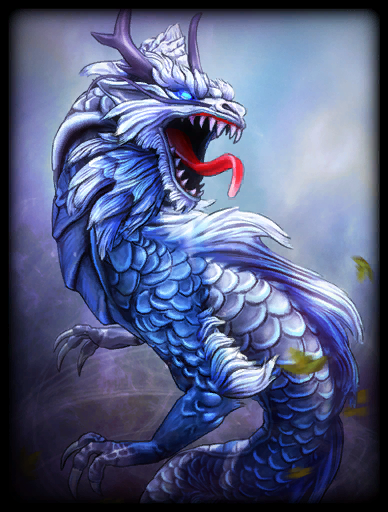 It is amazing in a team setting, which Ao Kuang is made for. I can see this becoming part of the meta for at least one person on the team to carry. This is powerful on Ao as it gives his huge burst a little more kick. I prefer more defensive options, but this is viable if played well. Meditation Please don't take this as it isn't needed once you learn to manage your mana. It is a waste of a potential ability as you purposely build mana on Ao Kuang and he has little mana problems mid game. Really good ability to avoid burst or buy a bit of time to get cool downs up. I buy this against heavy nukers like Agni and Hades when he ults. This can save your life if used well and timely. I buy this half of my games, literally. It's that strong. Start off the game by always protecting your jungler if you have one. It is important that they don't get invaded and give first blood. After that, head to whatever lane you're in and play as passive as possible if alone. If you're with a partner, you can be aggressive with Squall and Tornadoes but be passive-aggressive. Ao is pretty weak until he hits 5 and gets his ult so try and stay out of danger. This is where you start to shine. If you're middle, you can now begin to jungle. Try and take blue buff or shield if available and the jungler doesn't need one or the other. Try and push out your lane and constantly roam into the jungle or gank other lanes. It will force the other mid to either stay there and catch up their wave, or try and follow your gank. Don't try and roam too much against chars like Ra , who can keep up with your push. They can easily take your tower if your gank fails, leaving you behind in gold advantage. You're powerful in team fights. Try and push your team to do Gold Fury or push for an early Fire Giant. Buy wards before going in and if the other team attempts to stop you, drop your ult on them. Hopefully they will back off immediately as his ult mid game applies a ton of pressure with the dps it deals. You should hit like a truck, but other players have caught up to your dps by now. You still have the advantage of burst but will lose in a sustained dps fight, which is always the case if you miss your ultimate. Try and position to your utmost perfection because one death from you can cost the game, and nothing is worse late game than dying without being able to even ult. You need to always follow, NEVER LEAD. This section deserves special mention because no one ever talks about it, yet it happens all the time. Ao Kuang is of the weakest duelers in the game. Whenever given an opportunity to duel someone in a 1v1 situation, try your best not to, unless forced. He loses to most of the cast due to the fact that everything you need is prediction based and no guaranteed. It is easy to outplay yourself by whiffing and die. He specializes in being a passive pusher until team fights. I've played matches where I can catch people with tornadoes that shouldn't hit and ultimately kill them....with my ultimate. This isn't a likely situation against a good player. Video section coming soon guys. Hang in there with me! Some of these are going to be common sense to players who already know Ao Kuang or have seen good ones in game. That's fine. This section isn't for you, but maybe you can contribute to something in comments, or even *gasp* learn something! 1. Use Tornadoes on left and right lane when pushing the enemy Pheonix. Lay it right at the opening where they walk out of the base. It covers the entire lane and gives you an advantage. Either they walk through it and take the dps, or it zones them out and you can more easily take the phoenix. 2. When being chased by someone you'll probably die to and have ult, go into a tight space like the jungle or run in a straight line. Fire your ult directly ahead of you. If they're chasing you, they have the option to try and side-step, which wastes their time, jump out of reach of the line, or take the ult. All of these are good options as then you can attempt a counter juke if they jump it, or keep going if they are knocked to the side. 3. Always try and kite back and forth through Tornadoes to renew the dps dot on someone chasing you if possible. Whenever kiting, use squall whenever possible and lay tornadoes ahead of you in a manner that the enemy has to run through it to catch you. This may seem obvious, but when you panic, it can be forgotten. 5. More to come tips from other Ao Players. Will donate credit to donator if it is a clever, unique strategy so submit! Thank you for reading my guide. I put a lot of time into it and I hope that it becomes one of the best guides out there for Ao. Help me get there and up vote it, or leave comments, suggestions, or all 3! Again, THANK YOU!!! This guide will be upgraded soon as I get more response. If I don't, I will let it die, but for now, the sky is the limit! If you're interested in playing LoL with me, here is a pic of my stats and name, as I am interested in a ranked team 3v3 or 5v5 for next season. I was 1890 earlier this season, but I dropped as I play mostly supports in 5v5 as you can see from my Blitzcrank and Janna. Why the heck is Book of Thoth not in his build?! It is the best item for him since it gives him 10 mana per stack and mp5 increase. It also works great with his passive which gives him more magical power. So why not use Book of Thoth? 77847 deathtoll5000 Why the heck is Book of Thoth not in his build?! It is the best item for him since it gives him 10 mana per stack and mp5 increase. It also works great with his passive which gives him more magical power. So why not use Book of Thoth? Mr. Comic, read the above comments. 15933 JararoNatsu Mr. Comic, read the above comments. What would you suggest as an alternative for the Sash? 15930 JararoNatsu What would you suggest as an alternative for the Sash? I used to get both early on as well, but seem to have better luck with just the book. 15928 ShaoTheGreat I used to get both early on as well, but seem to have better luck with just the book. I use both Book of Thoth and Warlock's Sash. The combo is undeniably beautiful. This build is old and I don't think it's been updated in awhile. Therefore, you should probably be paying attention to the newer Ao Kuang guides. 15847 JararoNatsu I use both [[Book of Thoth]] and [[Warlock's Sash]]. The combo is undeniably beautiful. This build is old and I don't think it's been updated in awhile. Therefore, you should probably be paying attention to the newer Ao Kuang guides. Book of Thoth on Ao Kuang is superior to Warlock's Sash. With Ao's passive it gives you more MP and Mana than the sash, is cheaper to purchase, only takes 50 minion kills to power up as opposed to 100, gives you MP5 and an additional +3% of mana converted to MP (8% of total mana converted to MP with Ao's passive). The only thing that the Sash does better is give you HP. If you need HP as Ao, you're not playing him right. Anyone who would pick Warlock's Sash and then down Book of Thoth for Ao shouldn't be writing an Ao guide. I do agree with the Breastplate of Valor pick though - I build it third now almost always unless playing against a heavy magic team. The 550 mana synergizes well with his passive + Book of Thoth (my second item) and the 25% cooldown reduction is a must. I was using Chronos Pendant at first for the same effect but found the extra mana and protection to be more useful than a minimal boost to MP. Ao can have trouble against fast melee gods like Fenrir and Nhe Za and I've found that with the breastplate my average deaths per game were actually cut in half. I'm almost always #1 or #2 out of 10 in least amount of damage taken while coming in first or second in player damage and first 95% of the time by a very large margin in creep damage. A superior guide coming soon. 15845 ShaoTheGreat Book of Thoth on Ao Kuang is superior to Warlock's Sash. With Ao's passive it gives you more MP and Mana than the sash, is cheaper to purchase, only takes 50 minion kills to power up as opposed to 100, gives you MP5 and an additional +3% of mana converted to MP (8% of total mana converted to MP with Ao's passive). The only thing that the Sash does better is give you HP. If you need HP as Ao, you're not playing him right. Anyone who would pick Warlock's Sash and then down Book of Thoth for Ao shouldn't be writing an Ao guide. I do agree with the Breastplate of Valor pick though - I build it third now almost always unless playing against a heavy magic team. The 550 mana synergizes well with his passive + Book of Thoth (my second item) and the 25% cooldown reduction is a must. I was using Chronos Pendant at first for the same effect but found the extra mana and protection to be more useful than a minimal boost to MP. Ao can have trouble against fast melee gods like Fenrir and Nhe Za and I've found that with the breastplate my average deaths per game were actually cut in half. I'm almost always #1 or #2 out of 10 in least amount of damage taken while coming in first or second in player damage and first 95% of the time by a very large margin in creep damage. A superior guide coming soon. Tried this build in four of my games today. I won all four of them, even though i never played Ao before (with scores of at least 11/0). Warlock's Sash is such a good item on Ao during mid and end game. With full stacks, it gives him 50 + 20 (given by passive, 400/5 = 20) + 50 = 120 spellpower. For a really cheap item, this is insane! 100 stacks? No problem! Throw a tornado in the middle of the creep wave and they all die, giving you 5-6 stacks per wave. Another thing i'd like to add: get a Chrono Pendant if you got all of the above items and the game is still going on. Chrono Pendant really helps in those pesky teamfights. It gives you 25% cooldown reduction, making the cooldown of your ultimate from 90 seconds to 68 seconds. A devastating ulti that deals 1300+ damage every 68 seconds? Yes please! 11015 Qemble Tried this build in four of my games today. I won all four of them, even though i never played Ao before (with scores of at least 11/0). Warlock's Sash is such a good item on Ao during mid and end game. With full stacks, it gives him 50 + 20 (given by passive, 400/5 = 20) + 50 = 120 spellpower. For a really cheap item, this is insane! 100 stacks? No problem! Throw a tornado in the middle of the creep wave and they all die, giving you 5-6 stacks per wave. Another thing i'd like to add: get a Chrono Pendant if you got all of the above items and the game is still going on. Chrono Pendant really helps in those pesky teamfights. It gives you 25% cooldown reduction, making the cooldown of your ultimate from 90 seconds to 68 seconds. A devastating ulti that deals 1300+ damage every 68 seconds? Yes please!